John C. McCallum's Memory Price History provides a detailed sampling of prices from 1957. A 2007 report from Microsoft on historical pricing and future technology directions for memory. Tezzaron Semiconductor provides some historical information on memory pricing with a discussion of the product life cycle. Sematech, the industry association, 2002 document explaining the long-term productivity issues facing the semiconductor business, providing some historical business data for memory devices. of Technological Progress, a 2006 paper published by the Federal Reserve analyzing prices for DRAM and other semiconductors, contains information on technology productivity. for Semiconductors (ITRS) 2005 from the Department of Energy provides some historical data and productivity discussion. 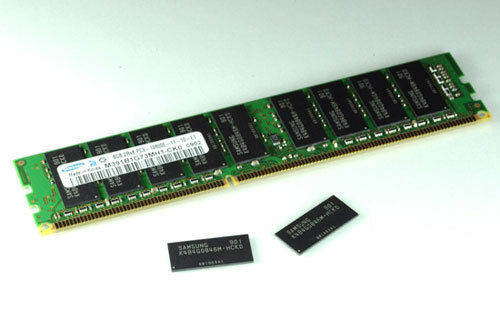 The Modern Significance of Japanese Chipmakers’ DRAM Business a 2008 paper discussing the significance of Moore's Law to the development of DRAM. Historical best price per megabyte for memory (DRAM) appears in the table below, prices taken about mid-year.